The Rudraksha Beads are normally worn on the body around the neck, the upper arms, the wrist and the waist. Each of these positions for wearing the Rudraksha Beads on the body has its own significance and benefits. 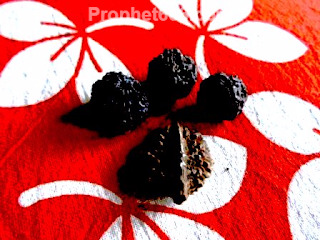 Apart from the immense paranormal benefits attributed to the Rudraksha, it also has a healing effect on the body and actively aids in curing many health disorders and diseases. In this post, I have described the health benefits of wearing the Rudraksha in each of the four positions mentioned above. Wearing Rudraksha on the Upper Arms- The wearing of Rudraksha Beads on the Upper Arms is also quite popular. If a Rudraksha is worn on the Upper Arm, the wearer does not suffer from Vaat Vikar or Dosha. If worn on the Left Upper Arm, the wearer is said to never suffer from any kind of muscular disorder in the left half of this body, the Blood Circulation in the body is well regularized, and there are no blockages in the Blood Circulation. If Rudrakshas are worn on both the Upper Arms then it is said that the wearer is insulated from paralyses and paralytic attacks. Wearing Rudraksha around the Wrist- The wearing of the Rudraksha around the wrists is said to protect the wearer of the Rudraksha from Arthritis and bone related diseases and disorders and muscular disorders. Wearing the Rudraksha around the Waist- The Rudraksha should be worn around the waist is such a manner that it rests lightly on the stomach region of the body. The Rudraksha should never be worn in such a manner that it comes below the waist because this position is considered to be inauspicious. Wearing a Rudraksha around the waist is especially beneficial for women during pregnancy or for getting relief from disorder related to the menstrual cycle like excessive menstrual discharge or irregular or painful monthly cycle. Apart from the four positions mentioned above, the Rudraksha is also worn by a few persons on the Shikha. The Shikha is the lock of hair on the bald head of some orthodox Brahmins or those persons who have shaved off their hair for a religious ritual. This position is especially beneficial for resolving headaches, colds, weakness in the head, eyesight related disorders and also for enhancing mental functions. If we are to use Rudraksha Beads for a Sadhana of Manoharaa Yogini or Ratipriya Yakshini, should we energize the mala with the mantra you mentioned in other post first? The mala has to be worn around the neck for a period of time and then dropped in a river or pond. Please reply again. Each Yakshini Mantra Sadhana has it's own rules, if such rules are mentioned in the specific Yakshini Experiment, then only should to attempt the energization of the Rudraksha. its so much use full.. thnx.. pls i need more information about this..
Sir, Could you please tell us the features of Black Rudraksh?